There are so many things to see and experience when traveling to a different place. Traveling can be overwhelming. Where do you begin and how do you take it all in? The key for me is to try not to take it ALL in but to bite off a piece here and there to remember. My art professor at Lawrence University took our class to see an exhibit of artist Wayne Thiebaud in Milwaukee one semester. He told us rather than trying to see everything and getting overwhelmed pick a few things to concentrate on like color, brush stroke, line quality or the way an artist draws hands which was my particular fascination at the time. This way you won’t tire out and be able to enjoy more of the experience. This is true of traveling as well. Instead of trying to go to every museum or every shoreline, pick one or two places and spend more quality time there. 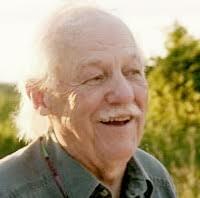 Then pick a couple of things to study of interest instead of trying to see all of the tourist sites. As a student I traveled quite a lot. I traveled to Eastern Europe while studying at Lawrence University in 1983 as well as Spain, Greece and Italy as an architectural student in 1990. Dennis Grebner, FAIA, my architectural professor at the University of Minnesota, taught us how and what to sketch when we traveled to Greece. 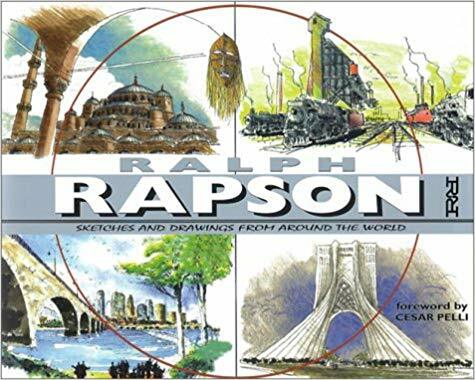 He was an excellent watercolorist and along with his mentors Ralph Rapson and Gordon Cullen loved to make watercolors of the places he visited. 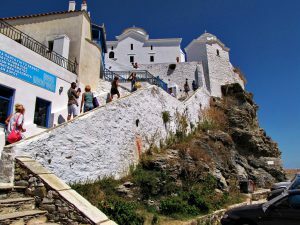 While in Greece we didn’t travel to all of the popular tourist sites which there are many but rather spent weeks on small islands like Skopelos and concentrated on traditional and vernacular architecture. A great way to remember a place is to have images of what you see while traveling. Why do you think we take so many photographs? We don’t want to forget a special moment or place in time. 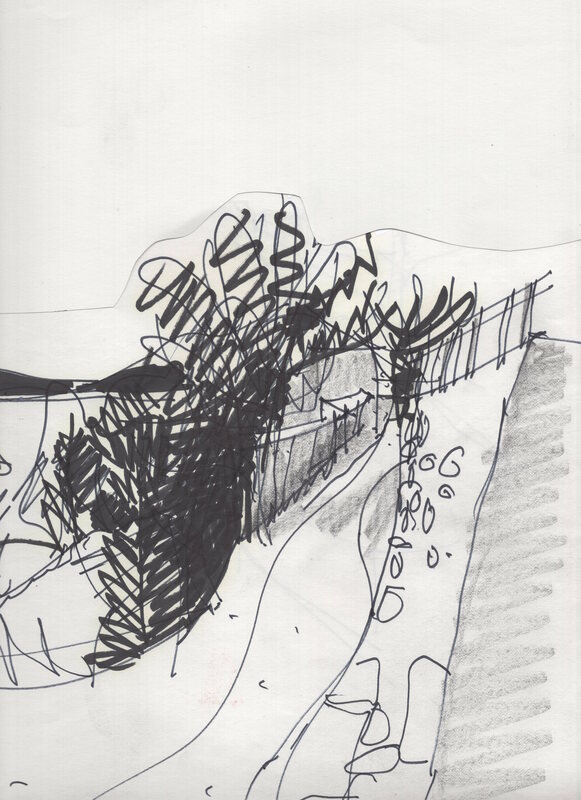 Sketching is even a better way to remember a place than a photograph because you are taking time to sit down and study what it is that makes the place so special. What appears on the paper is a reflection not only of the place you are visiting but also a reflection of you as an artist. I spent my time sketching in Greece and taking pictures of door knockers/pulls in Spain. You would be amazed how many different door knockers and pulls there are in Spain. Literally every one was hand made and designed differently. 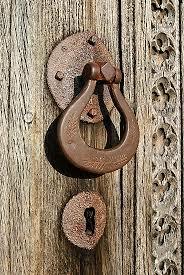 Home Depot did not supply door knockers and pulls in Medieval Europe . . . thank god. 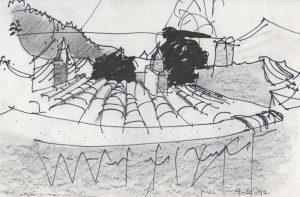 More specifically, while traveling in Spain, Greece and Italy we studied “Townscape”. A drawing lesson developed by Gordon Cullen to map and remember a place. 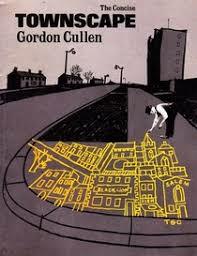 The way we visually understand a place and its architectural relationships is explained by Gordon Cullen in his book “Townscape” and in a video I have linked here. 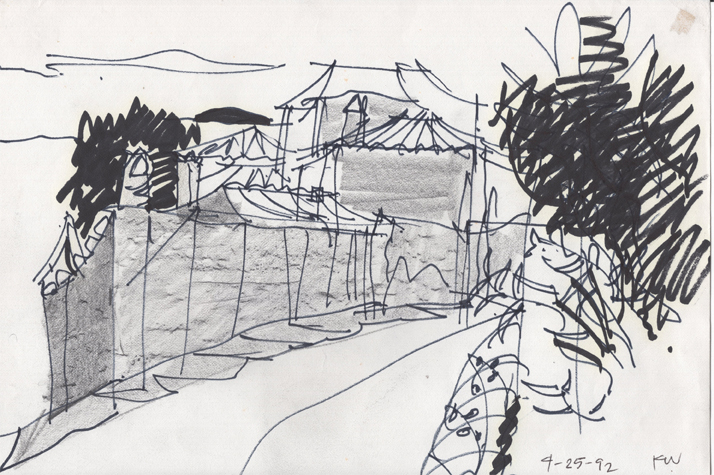 Gordon Cullen sketches illustrating/mapping a memorable entrance sequence to a European town. 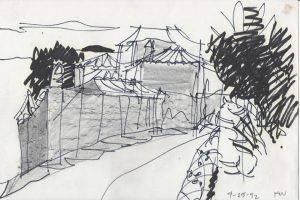 Some of my sketches in Greece on the island of Skopelos.